Sorry, Stargate fans. According to Variety, the planned film trilogy from Roland Emmerich and Dean Devlin will not include the canon of the TV series. Stargate began as a feature film in 1994 and eventually spawned three successful Syfy series: Stargate SG-1, Stargate Atlantis, and Stargate Universe. The latter ended in 2011. What do you think? Are you a fan of the Stargate TV series? Will you watch the planned film trilogy? More about: Stargate Atlantis, Stargate Atlantis: canceled or renewed?, Stargate SG-1, Stargate SG-1: canceled or renewed?, Stargate Universe, Stargate Universe: canceled or renewed? Stargate SG-1: No Season 11 But Its Not the End! As a fan of SG1 and SGA (SGU was crap…), I will most definitely NOT watch the movies reboot if it ignores series canon ! i love to see a stargate reboot.!! but not on sci-fy / syfy.!! put it on AMC. I’m tired of reboots. Come up with something new. Stargate is great as it is. A new trilogy will add nothing new. If they want to do something, then properly end Universe. Yes please! Do we need an ending!! I’m not picky. Whatever puts the Stargate back on screens! 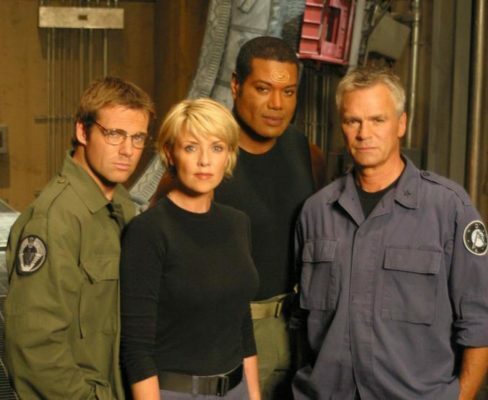 SG-1 will always be the best, but i would love to see a reboot too!